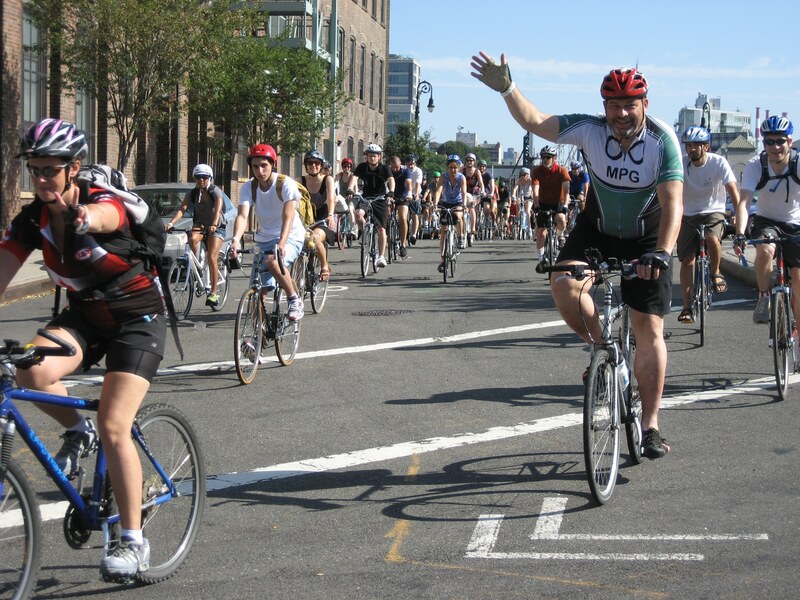 The 3rd annual Brooklyn Waterfront Epic Ride was held on Saturday July 30, 2011. 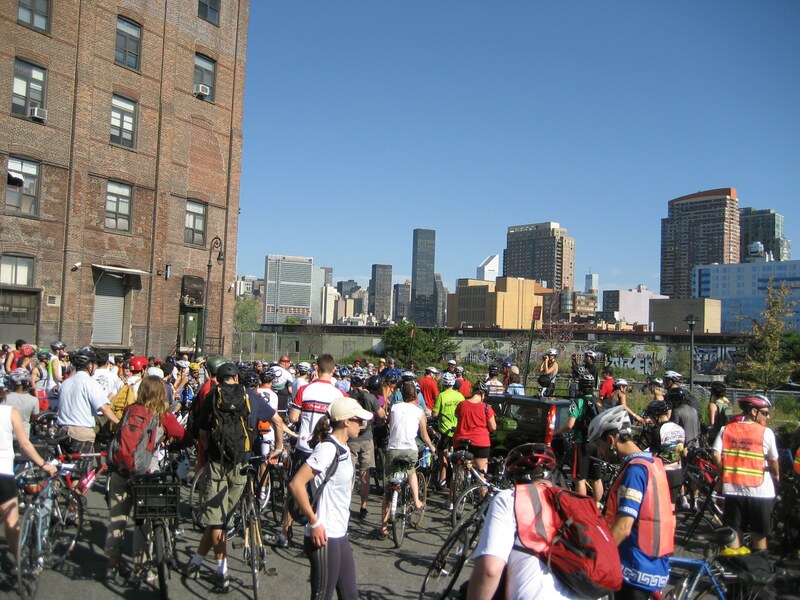 “The Epic” is an annual 40-mile ride from Newtown Creek in Greenpoint around Brooklyn’s 27-mile waterfront and continuing on to Rockaway Beach, Queens. 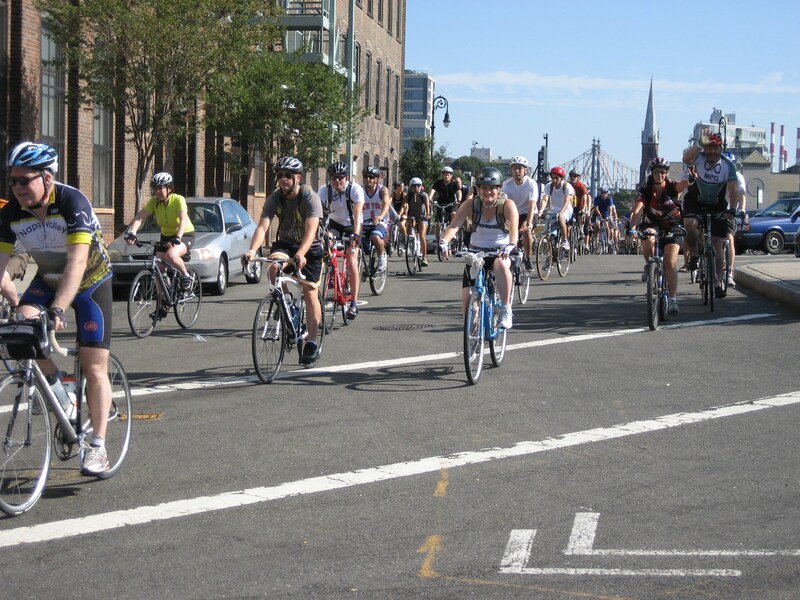 This year, the route was expanded in size and scope. 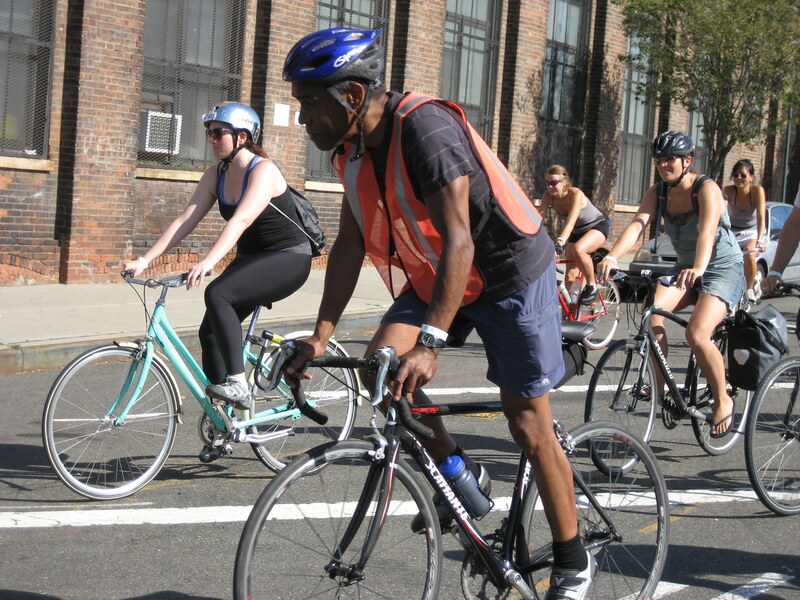 After turning away riders in prior years, Brooklyn Greenway Initiative and the Transportation Alternatives Brooklyn Volunteer Committee took the lid off the number of participants. 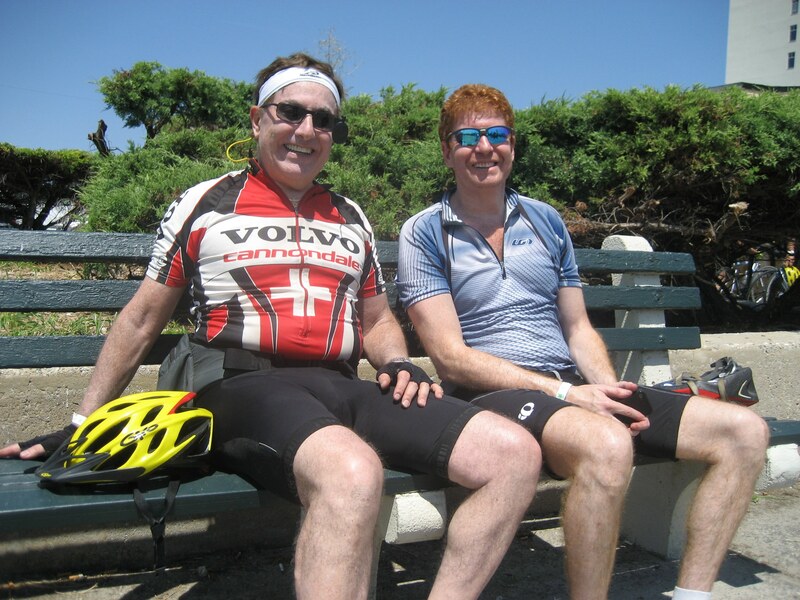 As a result, over 300 cyclists registered for The Epic, more than triple the number for prior years. 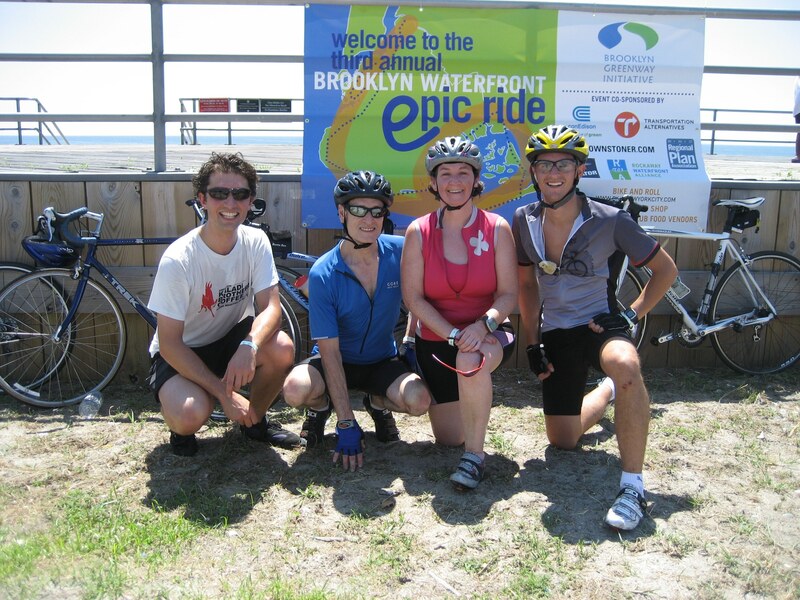 The ride highlighted the potential of a complete 27-mile Brooklyn Waterfront Greenway and a completed Jamaica Bay Greenway. 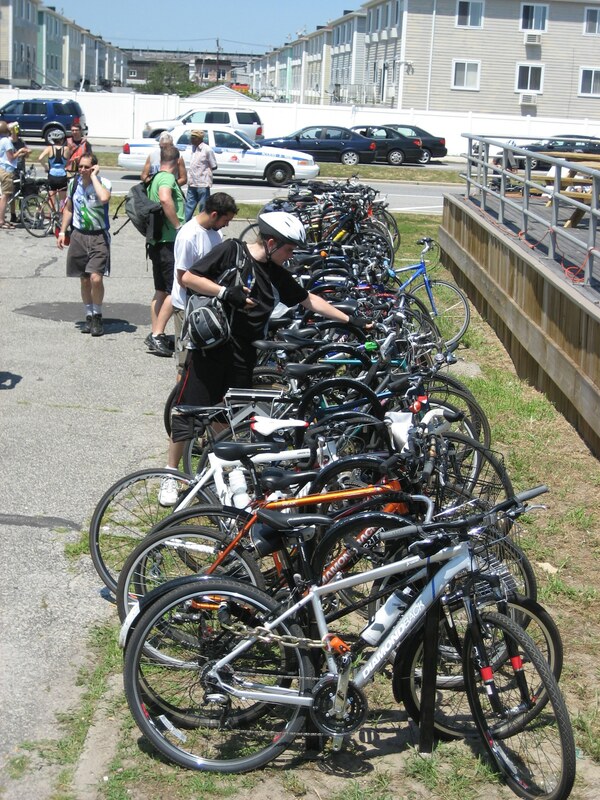 At the ride kick-off, Jamaica Bay Greenway Coalition released the new Users Guide to the Jamaica Bay Greenway, a pocket sized map of the greenway that highlights the planned completed greenway, access routes to reach it, points of interest, kayak and human powered boat launches, and representative cycling distances. 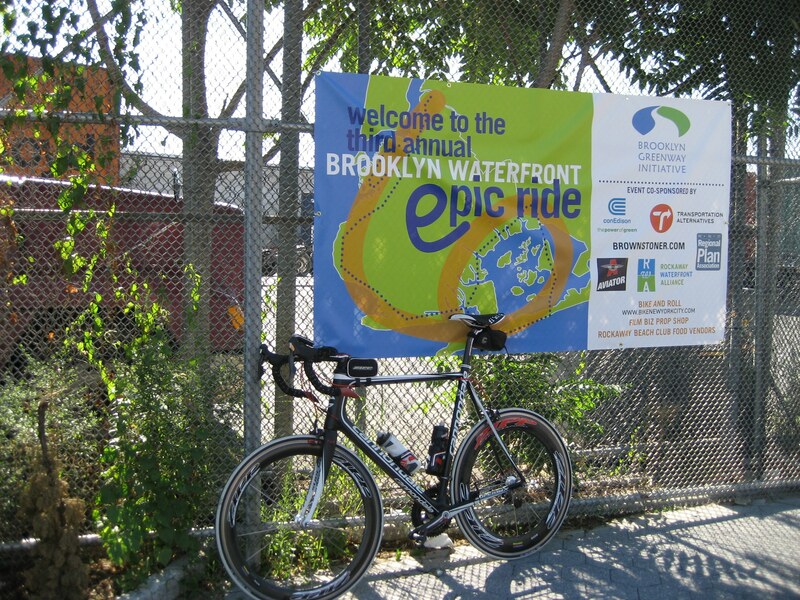 Refreshments for The Epic were provided at Aviator Sports & Event Center at Floyd Bennett Field. 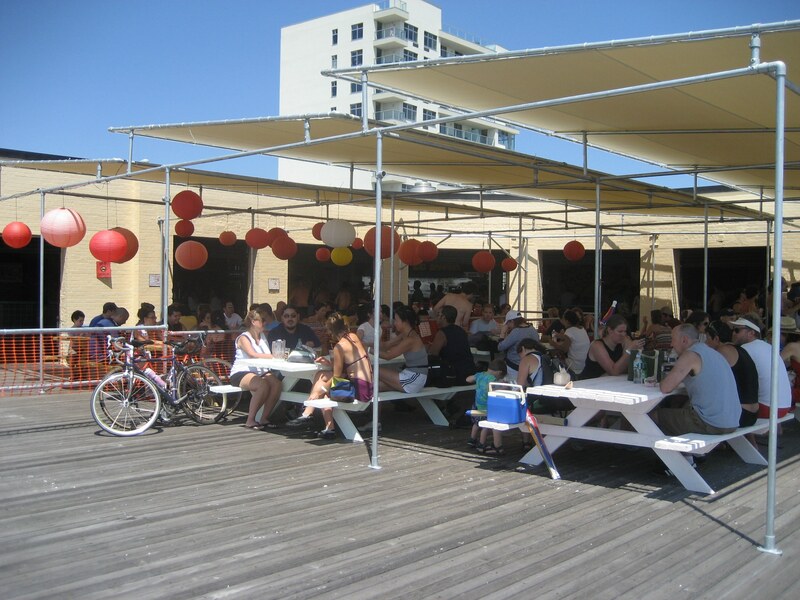 At the ride finish on the Rockaway Beach boardwalk, participants sampled the offerings from the new Rockaway Beach Club food vendors. 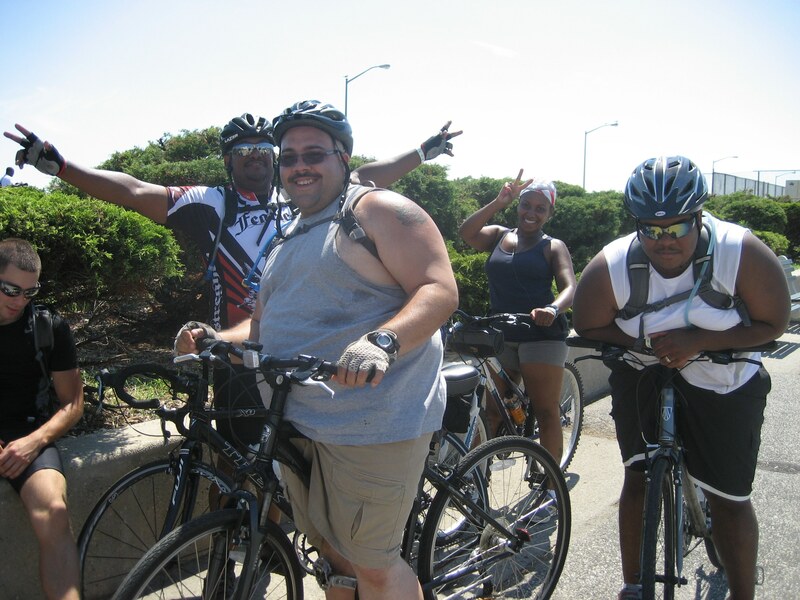 The ride was produced by Brooklyn Greenway Initiative, and co-sponsored by the Jamaica Bay Greenway Coalition, Regional Plan Association, Rockaway Waterfront Alliance, NYC Department of Parks & Recreation, NYC Department of Transportation, Transportation Alternatives Brooklyn Volunteer Committee and the National Park Service, Rivers and Trails Program. 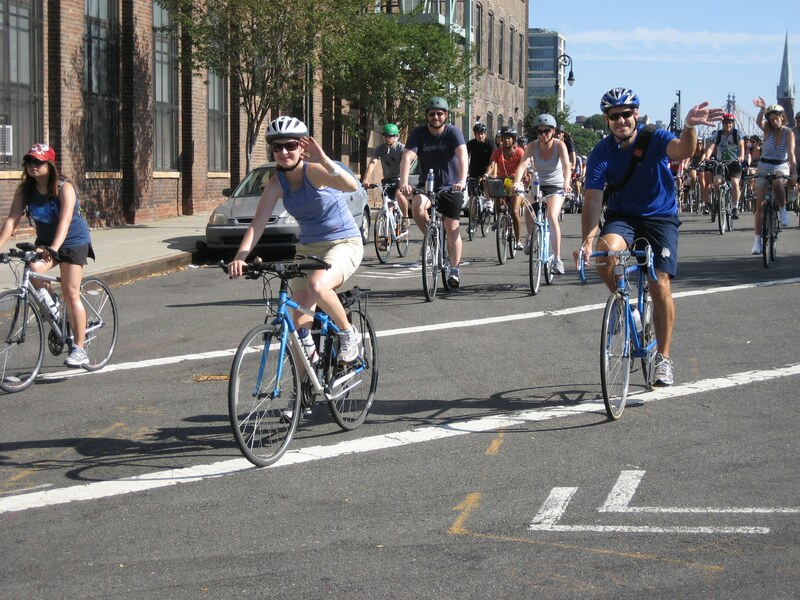 Event sponsors included Con Edison, Aviator Sports, Bike & Roll, Brownstoner.com and Film Biz Prop Shop. Additional support was provided by the NYS Department of State Division of Coastal Resources under Title 11 of the NYS Environmental Protection Fund sponsored by Brooklyn Borough President Marty Markowitz, the JM Kaplan Fund, Brooklyn Community Foundation, NYC Council Members Brad Lander and Steve Levin and a grant from the National Parks Foundation through the generous support of the Coca-Cola Foundation. 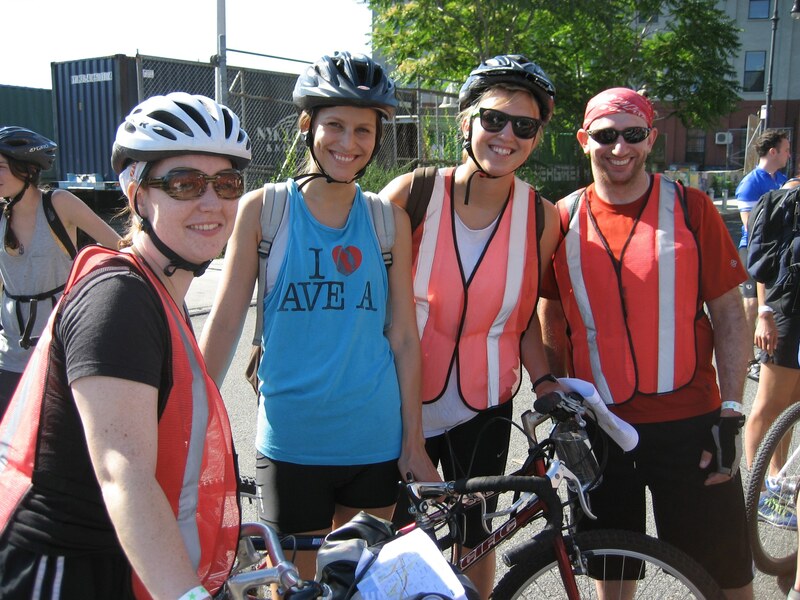 Thank you to all of our fantastic ride marshals and event volunteers! 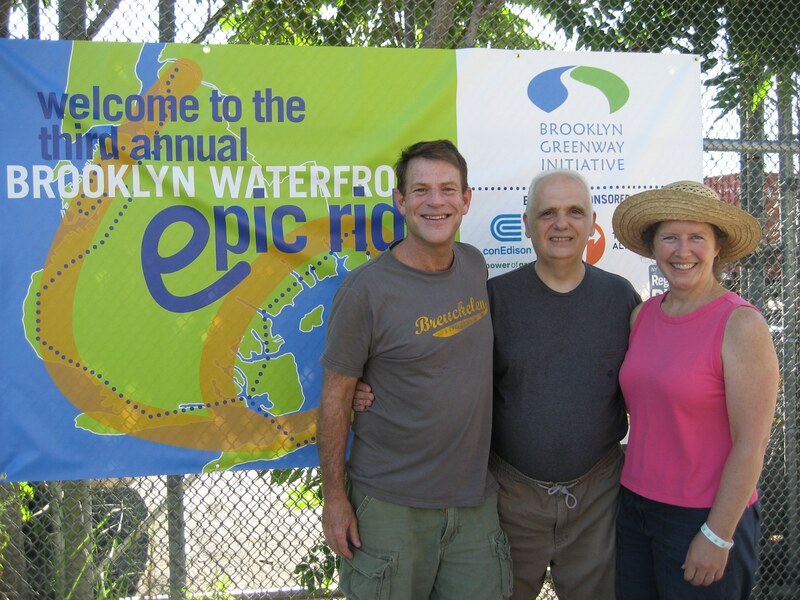 Assemblyman Joseph Lentol addressed the crowd at the ride start; pictured here with BGI co-founders Brian McCormick and Meg Fellerath. 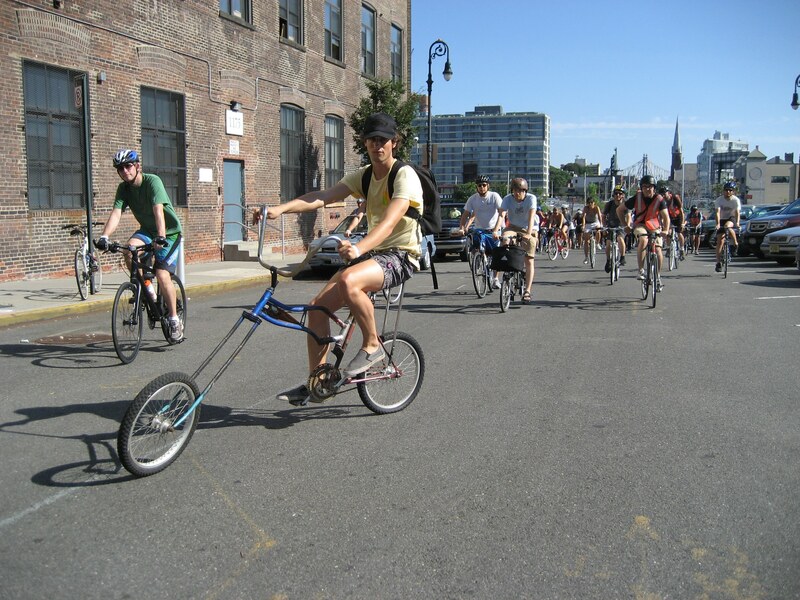 And still more cyclists underway! 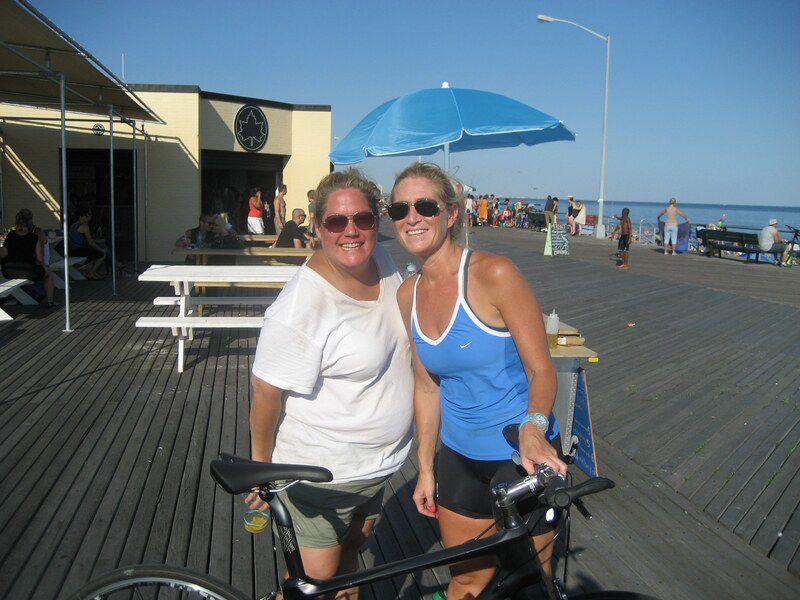 40 miles later, the “first finishers” celebrate at Rockaway Beach! Pictured (l-r) are Alex Henry, Howard Tanz, Claire Callan and Pearce Mara. 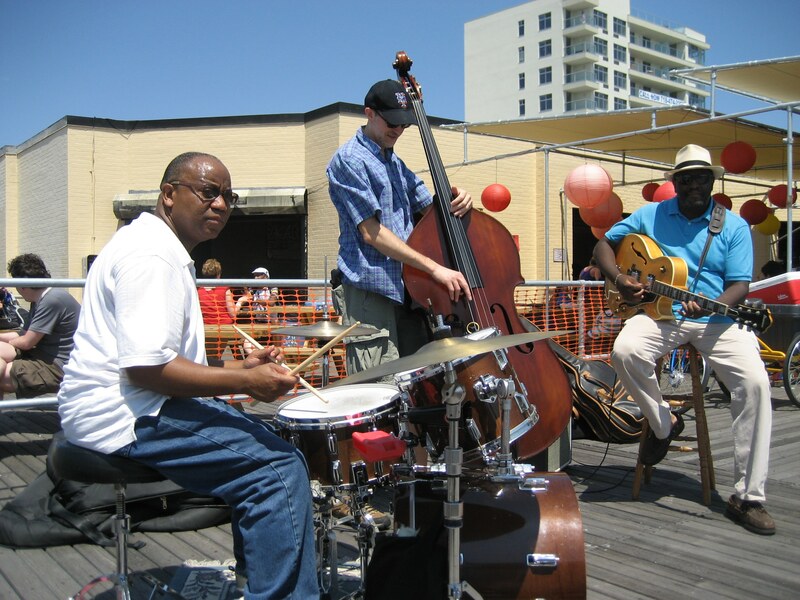 ...and the Rockaway Beach Club food vendors! 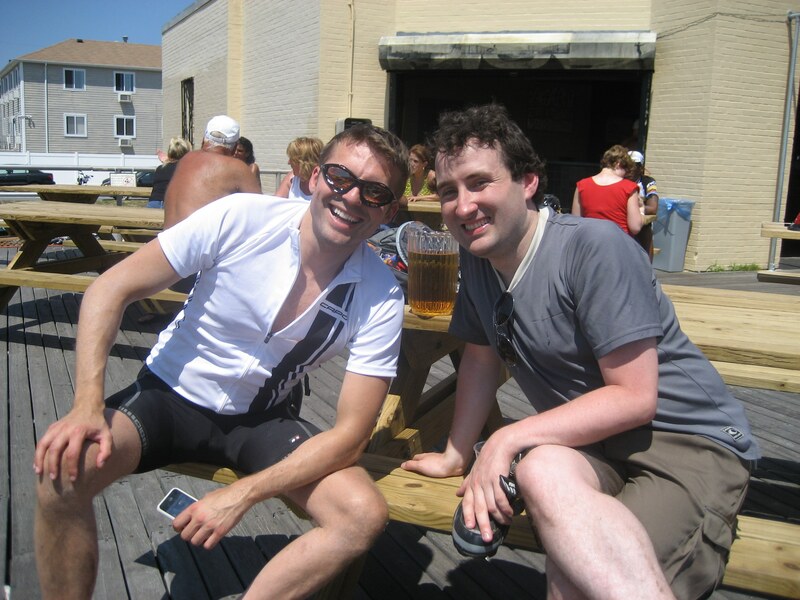 And our photographer (left) finally takes a break!